The trading and communications centre of the island Its position facing Faial and the town of Horta has made it, since line initial settlement period, the port that ensures links with the neighbouring island. Even nowadays picturesque coasting vessels connect the two fishing ports. Typical town. Fishing port. Daily connections with Horta by motor-boat, Facing the town lie the curious islets "Deitado" (Lying Down) and "Em pé" (Standing), where a birds have their nests. At Areia Larga, a traditional summer resort you may enjoy the sight of some of the oldest manor houses of the "verdelho" cycle. You can visit the Church of Santa Maria Madalena; the Town Hall and the wine Museum set up in the former Carmelite convent. At Areia Larga a traditional summer resort, one may find the largest cannery in the Azores and a co-operative wine cellar. A village connected with the "wine cycle" and the prosperity it brought to the island in the 18th and 19th centuries. Resorts at Cais do Mourato and Cachorro. 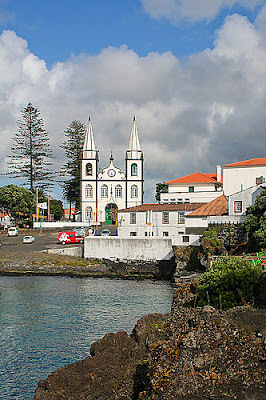 At the latter place there is an old chapel, the destination of tin most traditional penitential pilgrimage of the people of the Azores. The locality called Cabeço Chão has a outstanding micro-climate in the mild weather that is enjoyed all over the island. Here, too, is one of the most characteristic rural chapels, in which the artistic wood carvings of the altar are outstanding. 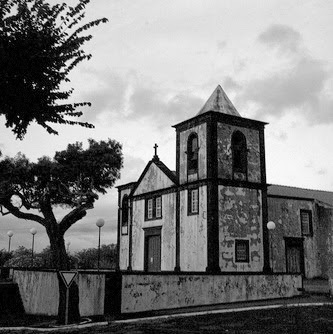 You can visit the Church of Nossa Senhora da Boa Nova; Construction dating from the middle of the l9th century. Excellent facade made of good dressed stores. Characteristic village. Close to the small, picturesque sea-side villages of Lajido and Cabrito. Have a look at the place called Ribeira Nova - a recently abandoned small village - where you can still enjoy tin sight of some basaltic constructions with original characteristics. You can visit the Scrimshaw shop of the artist Fátima Madruga and Church of Santa Luzla.